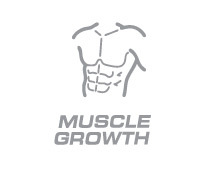 Helps build, repair and protect lean muscle. Combining BCAAs with resistance training results in maximal protein synthesis for greater muscle growth. Assists muscles in synthesising other aminos needed for anabolic muscle action. BCAAs are the preferred group of amino acids for energy use in both power and endurance athletes. BCAAs are a vital component of muscle tissue and are involved in protein synthesis, nitrogen balance and conservation of muscle mass. 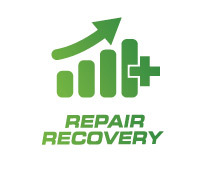 Assists reduction of muscle breakdown caused by intense exercise. Contains Leucine, Isoleucine and Valine in an optimal Leucine-rich 4:1:1 muscle building ratio. 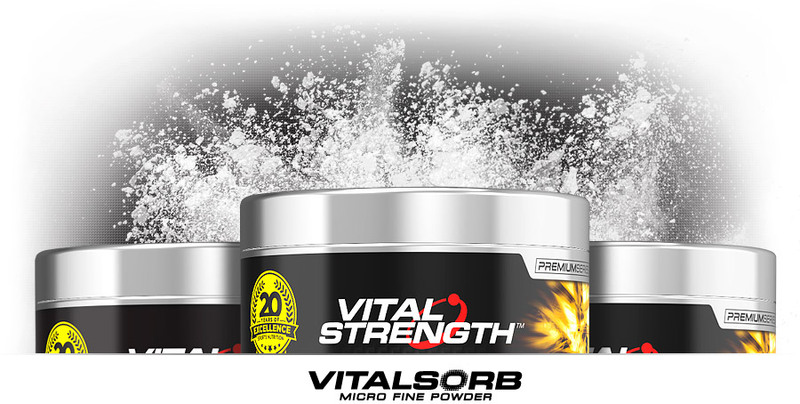 Only Vitalstrength uses Vitalsorb Bioavailability to increase mixability, solubility and taste, making it a more desirable choice for performance athletes. No sugars, flavours, sweeteners or other additives. Just 100% pharmaceutical grade, muscle-building BCAAs. 100% Pure Pharmaceutical Grade Branched Chain Amino Acids. Made in Australia from local and imported ingredients. Love it or your money back. If for ANY reason you are not 100% satisfied, we will happily refund the purchase price. See our RETURNS page for full details. 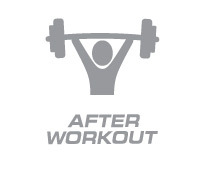 BCAAs improve protein synthesis to assist in reduction of muscle damage associated with strenuous resistance exercise. Especially helpful for maintaining muscle mass while on a calorie-deficit diet, undertaking endurance training or training fasted. Can be burned as fuel to maintain ATP energy levels during glycogen-depleting exercise. Advanced refinement process delivers a powerful formula free from added sugar or stimulants. I am happy to give 4 starts for this as I have not seen much effect of this product. * This is a real user review. There is no guarantee of specific results and individual results may vary. Excellent product and results where almost immidiate! Mix 735mg into water or juice and stir until dissolved. Consume after training. *Serving size and frequency may be increased for athletes after consultation with a fitness or health care professional. Allergen advice: Processed on equipment that also processes milk, egg and soy. May contain traces of gluten, dairy and other animal by-products. Replace lid immediately after use and store below 30ºC in a cool, dry place, out of direct sunlight. See base of container for best before date. This product is sold by weight - contents may settle. This product should be used in conjunction with an appropriate physical training or exercise program. This product is not intended as a sole source of nutrition and should be consumed in conjunction with a nutritious diet and appropriate fluid intake. Not suitable for children under 15 years or pregnant women: should be used under medical or dietetic supervision. Exceeding the recommended serving size may cause harm due to the high level of vitamins and minerals. 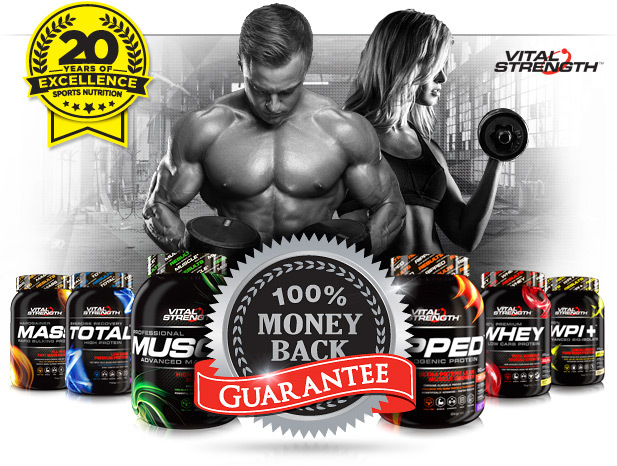 We know you want to get your Vitalstrength supplements fast, so we use several delivery partners depending on the size of your order and location within Australia. The following shipping rates apply. Shipping is calculated within your shopping cart, once you select your delivery postcode. *Several regional areas do not qualify for free shipping due to the increased costs in shipping these items from our Sydney facility. Orders received before 2pm on a business day are despatched that day, orders received after 2pm will be despatched on the next business day. Orders placed on the weekend will be sent on the next business day. We will not leave orders unattended. Ensure the delivery address you supply will have someone authorised to accept delivery between 8am-5pm Monday-Friday. If our delivery partner is unable to make a delivery, a card will be left advising of the procedure to arrange collection or redelivery of your order. 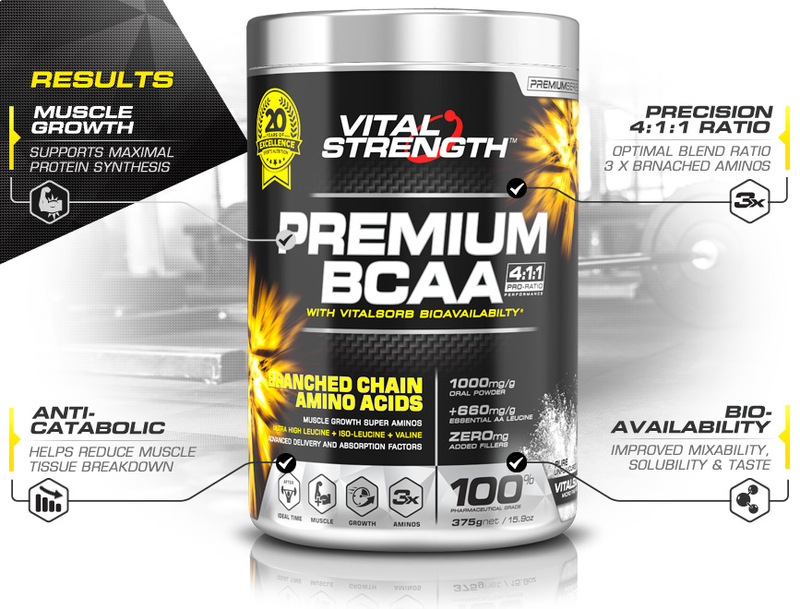 We want you to love our products and enjoy your shopping experience whether in our retail partner stores or at www.vitalstrength.com. If you are unhappy with any Vitalstrength product, please contact us via email or phone 1800 687 117 within 14 days of receipt.